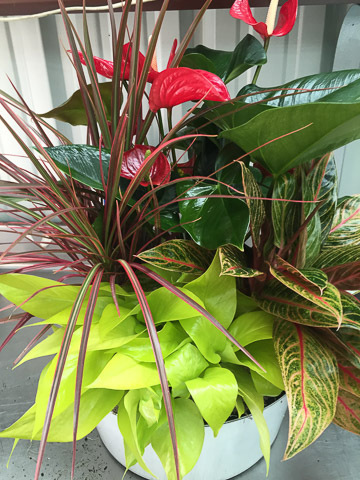 Long lasting colorful foliage bowls for your office. 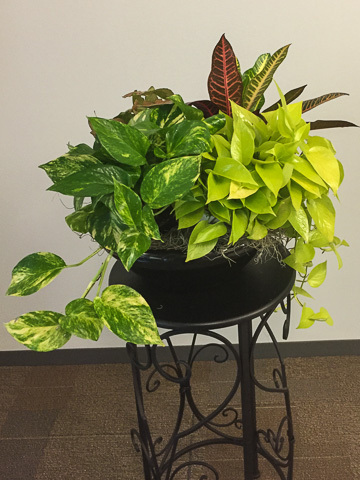 We love to create custom, colorful, living foliage arrangements using long lasting plants and color for our customers offices and lobby areas. 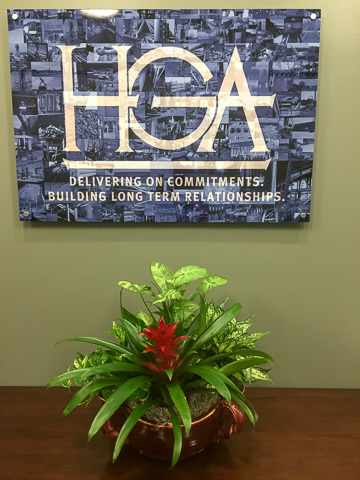 We offer custom office plant design, installation and maintenance services throughout the greater Houston area.